Leaving Andrew and Kate’s place just outside of Coolah, we headed back into town to get some essential supplies for the next few days. Things like beer, pies for lunch, bread rolls, and some tasty slices and treats from the bakery – all the essentials. 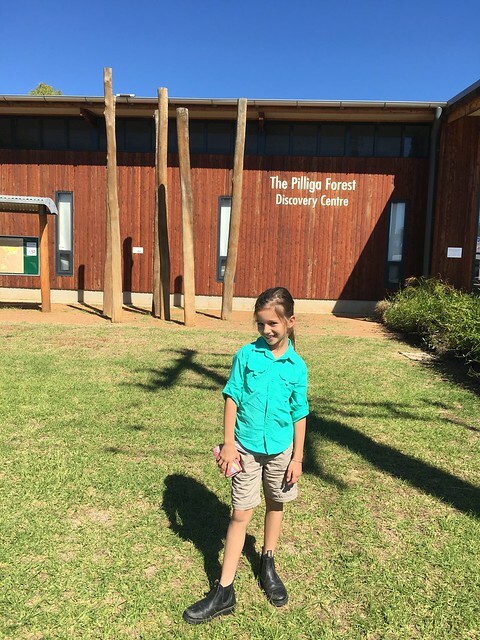 We headed north out of Coolah, heading for the Pilliga Forest Discovery Centre at Baradine, which we’d heard good things about. 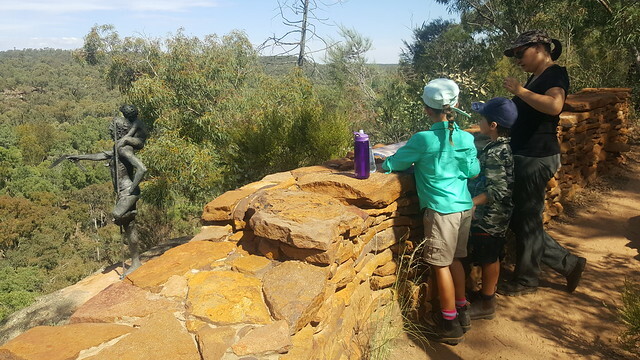 Armed with all of the necessary information and maps we headed into the forest, hoping to find a camp-site at the “Sculptures in the Scrub” walking track. Being Easter Sunday, it was always going to be a little risky trying to find a spot! At the information centre they said it was pretty busy, but some people were leaving so we might get lucky. 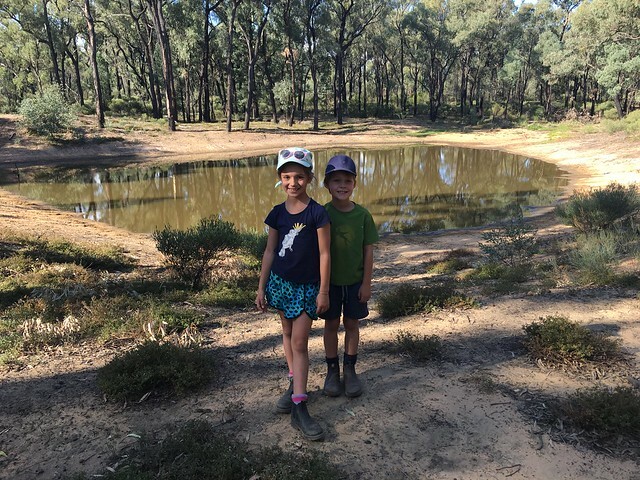 Turns out that “lucky” beat us by about 15 minutes in his “Go Get” RAV 4, so we were left to drive another 35km to the Salt Caves campsite, and hope that there was still space available there. 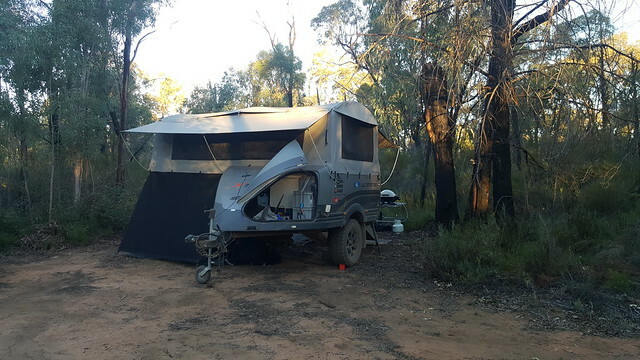 We arrived and found one remaining site and set up in a cosy little corner – the Ultimate becoming like a little tree house – up high and surrounded by bushes. Hanging out in the “treehouse” – some inhabitants feel right at home among the branches! 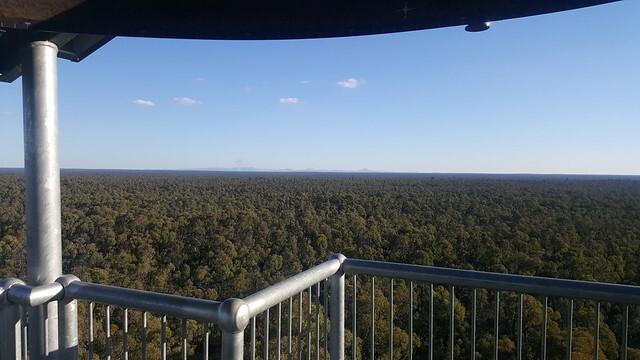 Once set up, we climbed the fire tower at the camp site, which has amazing views over the whole Pilliga Forest. 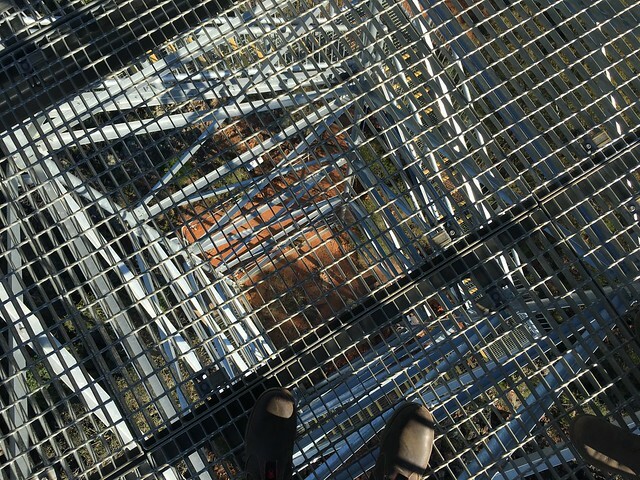 It was really high, and we were all feeling a bit nervous about it, but it was a great achievement to get to the top and to enjoy the view. Burgers for dinner before an early bed time ready to head back to the sculptures walk the following day. The weather here has been absolutely magic too, with the nights just a little bit warmer, probably in the low teens, allowing us to have some windows open at night and enjoy the fresh air. Pancakes were ordered for breakfast before we made some “filled rolls” and headed back to do the sculptures walk. 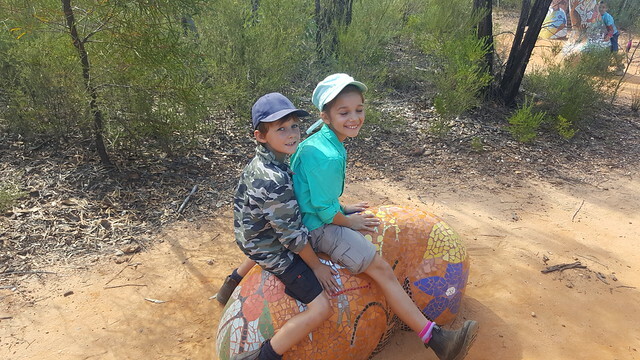 It is a 3km walk through a variety of man-made sculptures, which all pay respect to the indigenous heritage of the land. 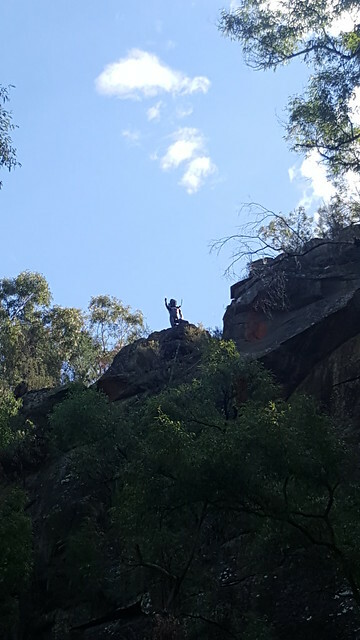 Some of them we found more inspiring than others, and we all loved the one of the Man and his Boy overlooking the gorge. The walk itself first followed the escarpment at the top of the gorge, before dropping into the gorge for the return journey. The views at the top were spectacular, however the peace and tranquility of the valley is probably what we’ll all remember more. It’s a shame we couldn’t camp down in the bottom of the valley, as it was just beautiful! We had lunch on our return, and then walked through the camps sites to find that “lucky” had only stayed one night, and his site was now free. 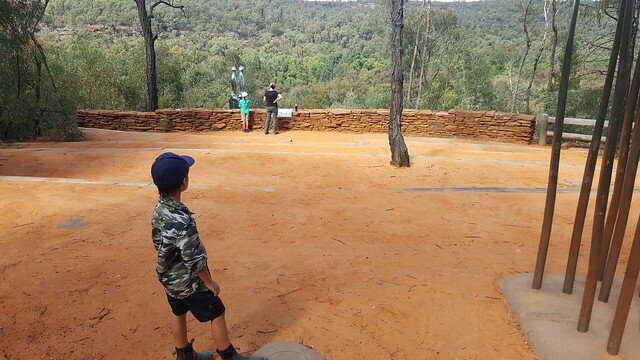 Oh well, we’re still pretty happy where we are – maybe next time when passing through we’ll camp near the sculpture walk and do the walk again. 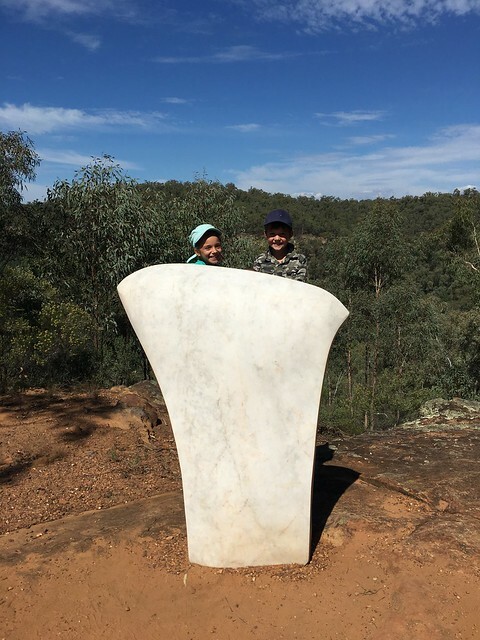 After all, we hadn’t even done the Salt Caves walk yet! 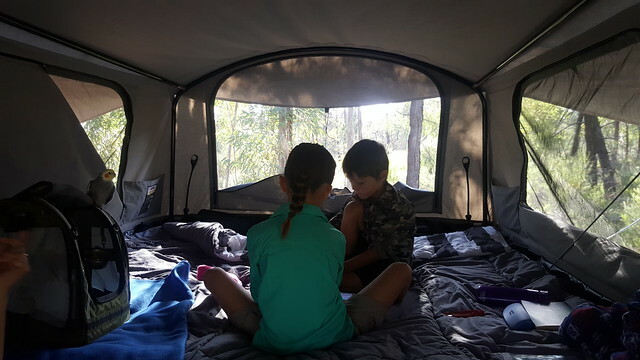 An afternoon family meeting had Ella and Lucas keen to stay for an extra night in our little tree house site. 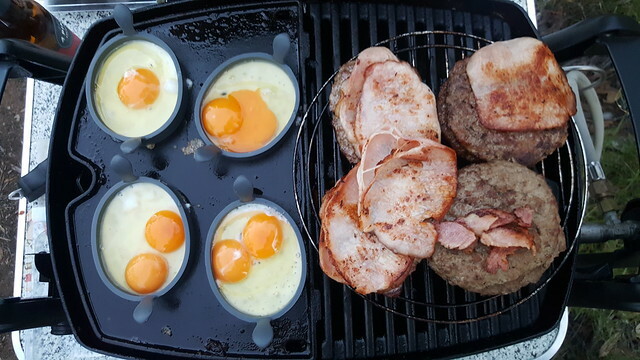 Burgers for dinner – thanks to some pretty clever Chickens for these eggs! From the dozen, there was only 1 single yolker! Eggcellent! 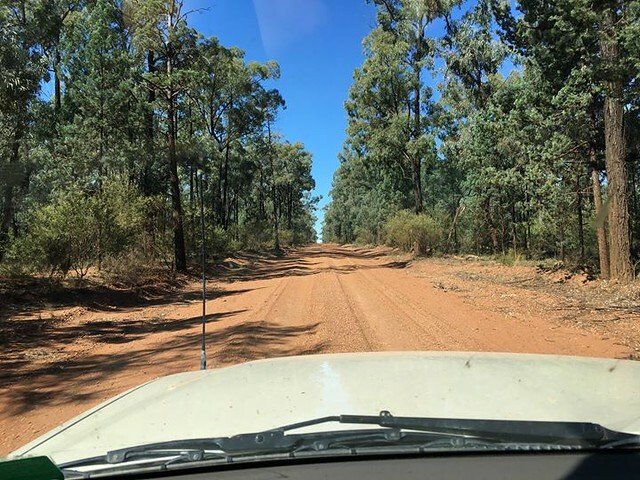 We had a very lazy start to the day, out of bed late and a cruisy morning – getting a few odd jobs done around the camper. Ella and I went for a walk to check out some of the other camp sites here, to find that nearly everyone else had left (and the last remaining camper left at about 3pm, later in the afternoon.). Fortunately as we were going for the walk, I noticed that the windscreen washer bottle (and a few other bits and pieces) were not secured as they should be as a bolt had worked its way loose – probably somewhere over the dirt roads of the last couple of days. A scrounge through some spare odds and ends found a suitable replacement of the right size to fit the captive nut that held it in place, and everything was back in order. 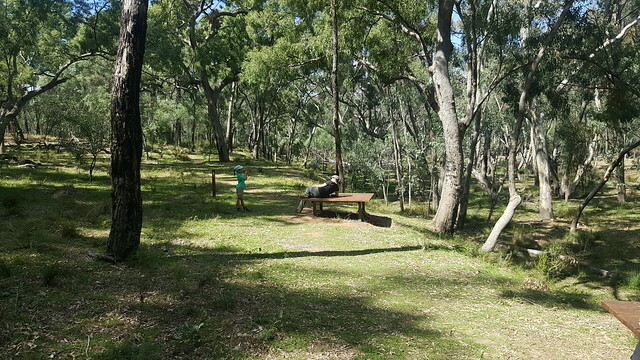 The walk to the dam in the afternoon was peaceful, if a little uneventful, and we were back to camp to chill for the afternoon and get a little tidied up for a fairly early getaway tomorrow. 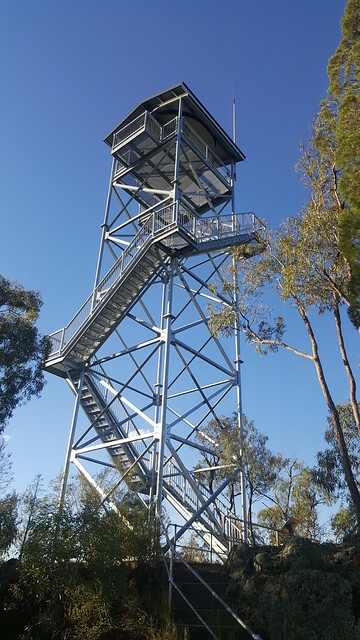 The plan is to head back to the Coolah Tops NP, and to see a few things along the way, so we’ll be getting going fairly early. 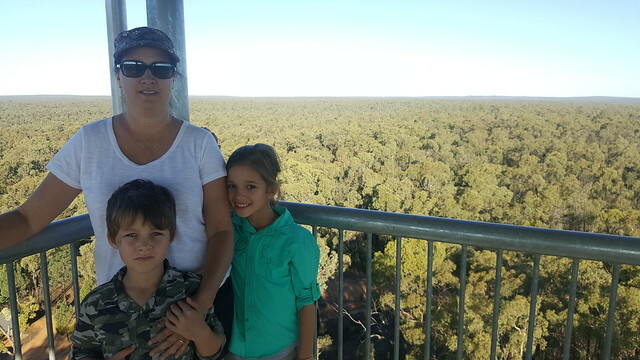 We’ve had a few really nice day in the Pilliga, and look forward to returning at some point in the future. This is what we love to see from behind the wheel! Red dirt!